Well, last night was Friday Night Sew-In, and I really pushed to get my last two Swoon blocks done. When I realized there was no way all nine blocks would fit on my design wall, it began to dawn on me how big this quilt is going to be! I glanced at the pattern - 80" X 80"! Yikes. I was really wanting to quilt this one myself, but what you don't know is I have written on my sewing room white board: "68X72 TOO BIG." Meaning.....I have really struggled with quilting that size of quilt. 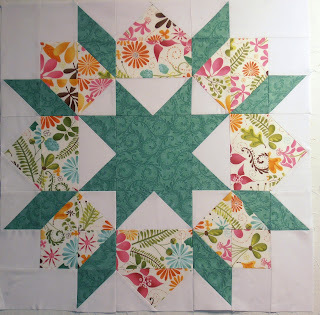 I'm hoping, since it's been a while, that I can manage quilting my Swoon, as I actually have a quilting plan. 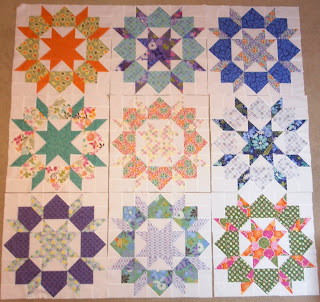 I'll probably be playing with the layout, but till then, I'll just celebrate Swoon blocks: Complete. Gorgeous!! That IS a big quilt! Oh Fantastic. How will you quilt it. FM or straight lines. I quilted my big quilt on my sewing machine. Just have to have to clear everything off the kitchen table. Your swoon blocks are beautiful! This is on my list, fabric already chosen... and quilting will probably be done by hand since it is sooo big! Congrats! I love how this is turning out, just totally beautiful! And it is not too big, I am sure you can quilt it! Eeeek! You've caught up to me! I better hurry up. ;) Just kidding, of course. It's gorgeous. I'd like to know what your quilting plan is, as I'm getting closer and closer to that point and don't know what I'm doing yet. I know one of the girls over at twin fibres used plain vertical straight lines and it looked great. That's the kind of quilting I'm comfortable with so far so that might be what I'm doing. Oh, and the size, YES I totally get it. And I'm making mine even bigger. Ugh. Adding 4" strips around the sides and bottom, and even more at the top in order to make it queen size and in order for out pillows not to cover up too much of the design at the top when the bed is made. I think it will 84"x90". Eeek again. 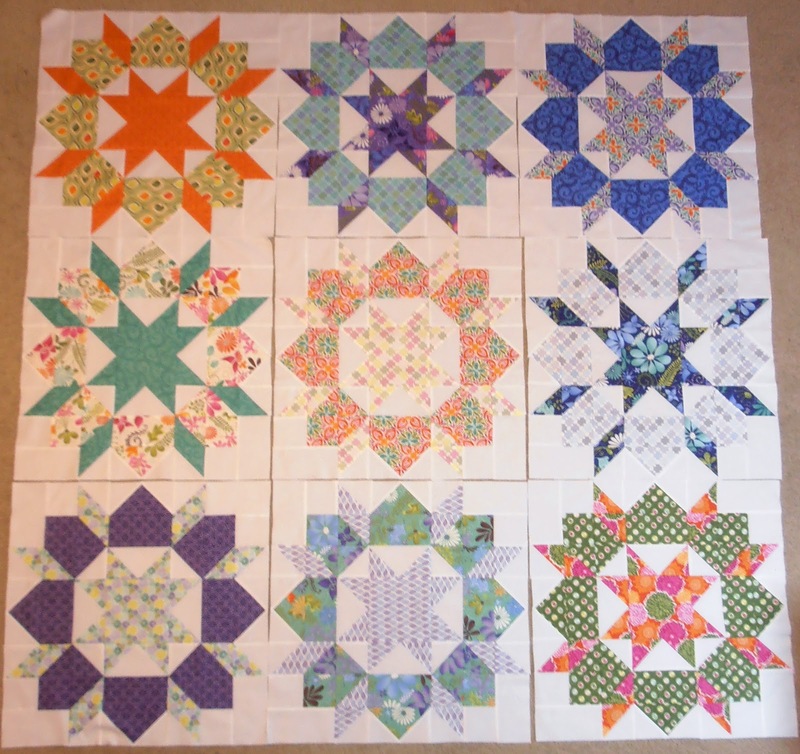 Beautiful Swoon blocks! That is one big quilt! 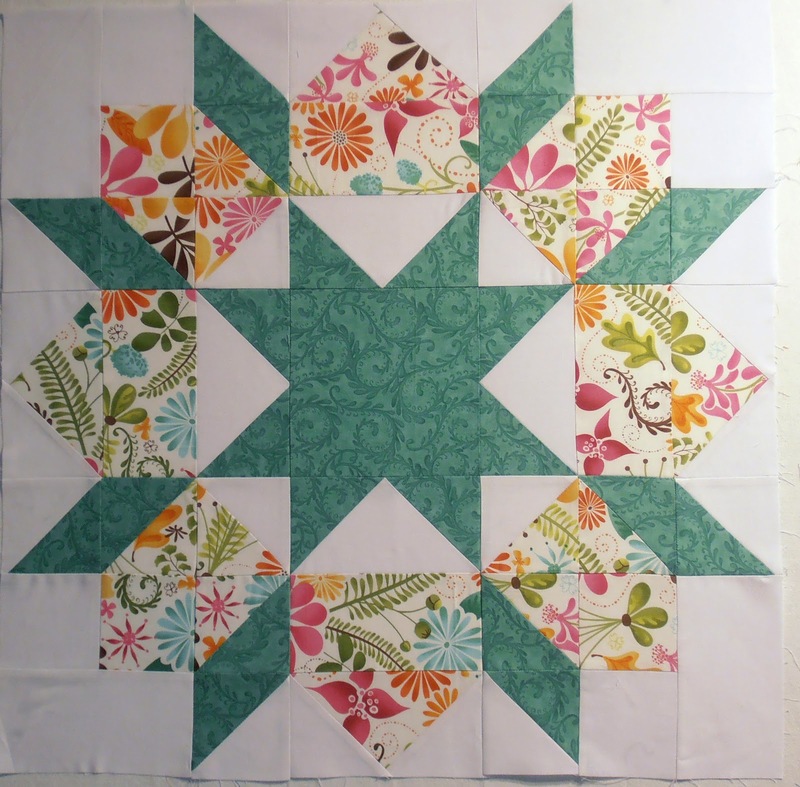 Good luck with the quilting, I am sure you can do it! Oh, goodness, they are gorgeous! Not that I'm biased on Swoon or Kate Spain. ;) I think the blue/purple in the top middle is my favorite. And I'm with you on the 3x3 is HUGE and I don't know how I'm going to quilt it. FNSI is such a great way to make progress on WIPs. That is going to be a gorgeous quilt once you're finished. Love, love, love your project. Will have to add to my list of things to do! As soon as I finish my little crane border....lol! 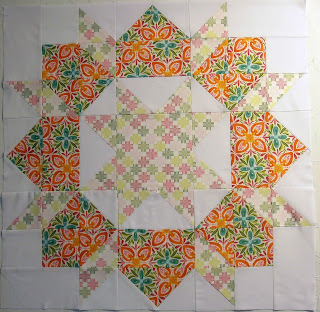 Amazing Swoon blocks! I just love this pattern. I really need to start one for myself! There are a few cute Halloween Swoon quilts out there. It's just such a versatile pattern. Yours is beautiful! I love your "too big" note...too funny! I love all your swoon blocks, even though it is too big, it sure is beautiful! 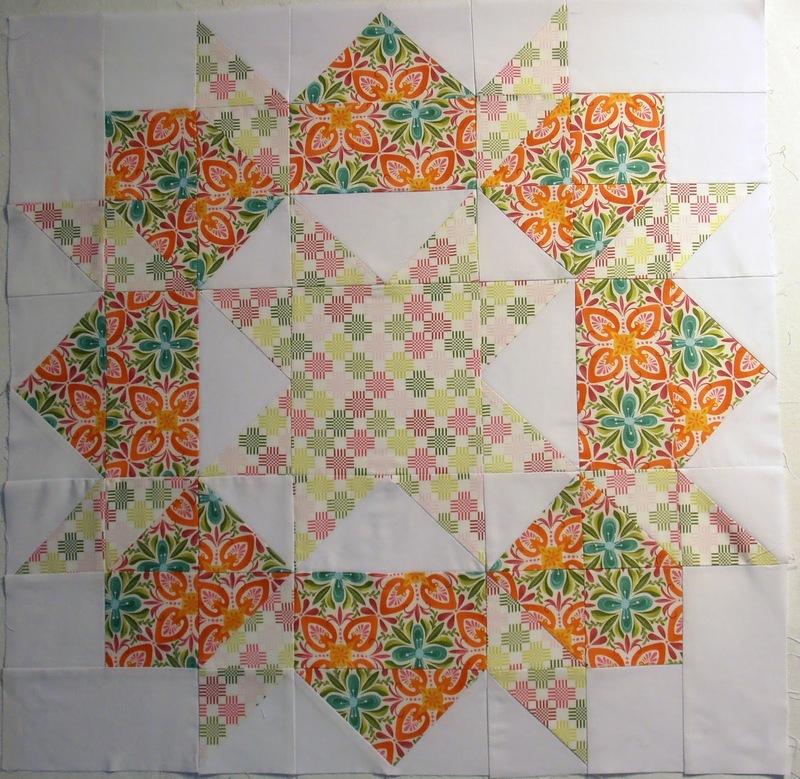 Love all of your swoon blocks together - they are going to make one gorgeous ginormous quilt! !